This compilation consists of previously released material. This compilation appeared as Nonesuch Records 79519 special limited edition for the 2-CD set including the Koyaanisqatsi soundtrack and GlassJukebox as a bonus CD. It also appeared as Nonesuch Records PRCD8991 in 1999 for promotional use only, not for sale. Music composed by Philip Glass. All tracks produced by Kurt Munkacsi for Euphorbia Productions, Ltd., except where otherwise indicated. Dunvagen Music Publishers, Inc. (ASCAP). 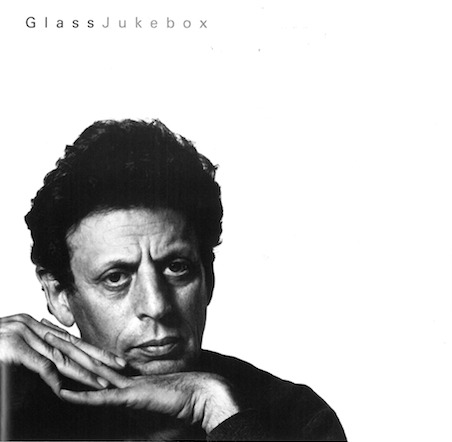 Compilation produced by Philip Glass, Kurt Munkacsi and Michael Riesman for Euphorbia Productions, Ltd. Photo of Philip Glass by Jack Mitchell. Design by Rex Bonomelli/Red Herring Design. © 1998 Nonesuch Records for the United States and WEA International Inc. for the world outside of the United States.